Even though HTC is considered to be a big game player along with Apple and Samsung, it has always sat in the back seat when it comes to comparing the prices of an HTC device with that of a Samsung. Apple is an entirely different story so we’ll be neglecting that for now. Now coming back to the point which has left HTC behind Samsung in the Android race is the fact that most of HTC’s phones are over priced if compared to its Samsung compatriot. Am not saying that Samsung phones are cheap (the newer models are most certainly not) but people still feel that Samsung has a definite edge over HTC when it comes to pricing. Now in order to remove this ambiguity, HTC is looking to reduce the prices on its upcoming lineup of Android and Windows Phone 8 powered devices. HTC has struggled to keep up with Samsung and Apple and compete directly on features, and the company believes that reducing the price point of upcoming handsets may give the company a competitive edge which could help recapture market share and increase revenue. Rumors suggest that HTC would be discontinuing its alliance with Beats Audio and has already reduced its ownership in the company by 25% suggesting this might lead to prices of future devices being slashed. 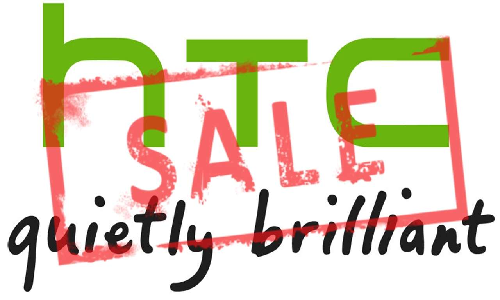 We currently do not know exactly how much HTC is willing to go down to save its sinking ship but we do know that its (hopefully) going to happen pretty soon. How much of a price cut would you as a customer want for HTC to cut in order to compete with Samsung and Apple ? Do share your views with us.